located IN the CHARLESTON, SC area, We are music lovers who travel all over for good times AND tunes. Drifter Merch offers HIGH QUALITY VINTAGE-STYLE products inspired by music. WE ARE ALSO ALWAYS ON THE SEARCH FOR COOL ART, JEWELRY AND MORE THAT APPEAL TO MUSIC FANS. 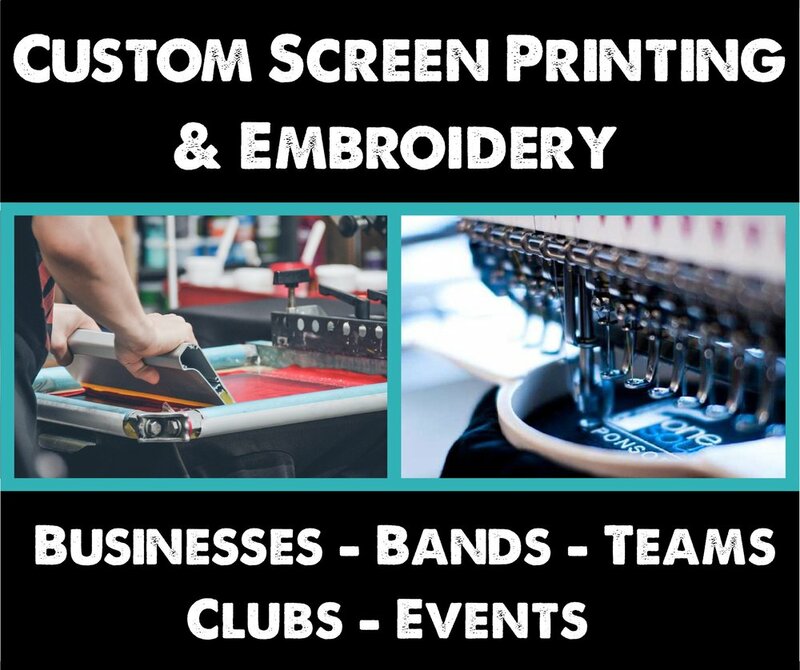 Additionally, we provide custom design, screen printing and embroidery for businesses, bands, schools, fundraisers and more. drifter merch PRIMARILY USEs premium brands such as BELLA CANVAS AND NEXT LEVEL BRANDS FOR OUR APPAREL BRINGING CUSTOMERS SOFTER TEES THAT TYPICALLY DO NOT SHRINK. For hats, we prefer richardson, outdoor cap, flexfit and yupoong. IF YOU WOULD LIKE TO ORDER OUR DESIGNS or custom orders IN ANOTHER BRAND OR STYLE, WE CAN usually ACCOMMODATE, IF YOU LET US KNOW. Need merch for your business, event, band or fundraiser? WE can design logos, concert posters and CREATE YOUR PROMOTIONAL ITEMS with low minimum orders including CUSTOMIZED SCREEN-PRINTING OR EMBROIDERY OF T-SHIRTS, HATS, SWEATSHIRTS, KOOZIES, flags, BLANKETS AND MORE! OUR PRICING IS VERY COMPETITIVE. Email info@driftermerch.com with as much detail as possible of what you WANT and we can shoot over a quote.